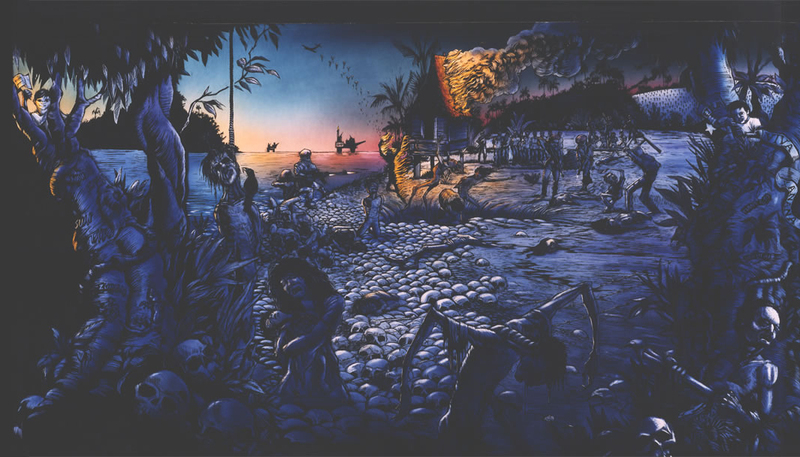 Paradise Island or Island of abuse? The names on the trees are where the most splendidly lucrative massacres occurred. The names with skull and crossbones are the companies 'owned' by the robber generals or the 'family'. B.H.P is Broken Hill Proprietary, managing director J.P. Reid, which is thieving the oil of the Timorese, along with Santos, Petroz and Woodside Petroleum (1/2 owned by Shell). The Indonesian motor industry¹s first model was named the Timor. 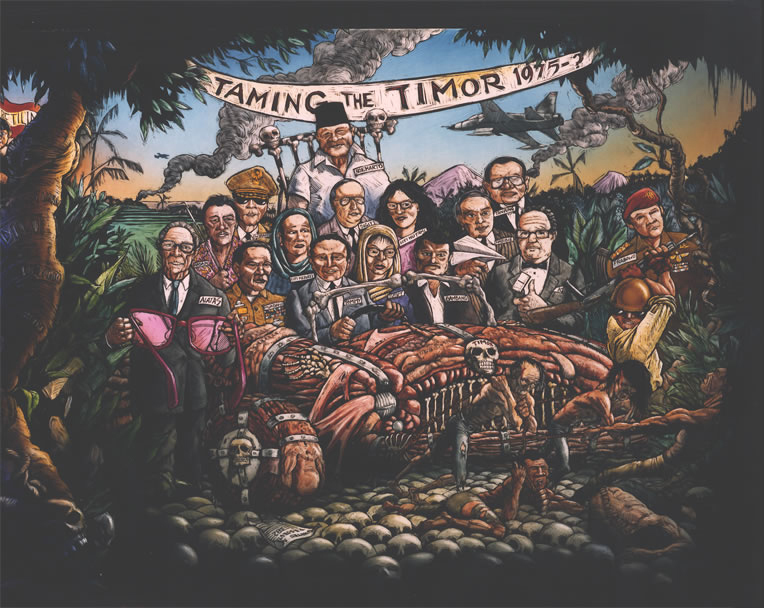 Below is a detailed copy of the painting Taming the Timor, due to the painting being of such large proportions, the image shown below is made up of several scanned images while every precaution has been made to replicate the original painting, there may be slight discrepancies in colouration. East Timor Paradise or Island of abuse?